The great city of London, capital of England and the United Kingdom, is an effervescent treat for the senses at anytime of year, but it truly blooms during the summer. From breathtaking flowers and raucous festivals to world-famous athletic competitions and musical extravaganzas, London, in fact even just the Kensington borough of London, is absolutely brimming with exciting UK holiday attractions. A highlight of the London events calendar every year since 1862, the has steadily grown into one of the world’s premier horticultural exhibits, featuring dynamic flower and gardening displays by renowned industry leaders and generating crowds in excess of 150,000 people, including members of the British Royal Family (although they usually attend only private sessions). Much like an upscale fashion show, the Chelsea Flower Show has an air of invention and excitement about it. New breeds of plant are debuted regularly, and the event receives considerable coverage by local and even national media. Particular exhibit categories include flowers of course, gardens, trees, vegetables, scientific exhibits, and floristry, and awards are presented at the end of the show. The show is hosted at the Royal Hospital Chelsea, not far from the Holiday Inn London Kensington Forum hotel near Chelsea. 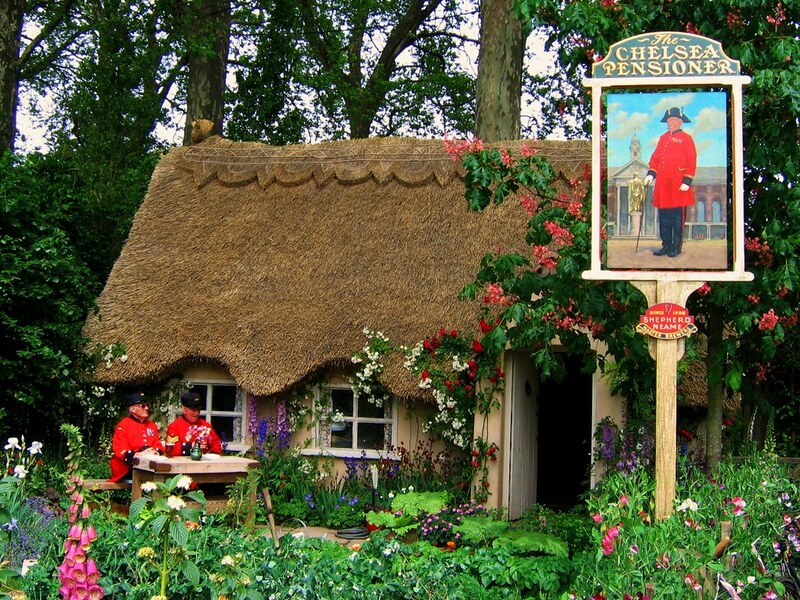 The grounds are as beautiful as the flowers themselves, but they are limited, so act quickly if you want to be one of the lucky visitors of the Chelsea Flower Show. Known worldwide simply as Wimbledon, and well deserving of single-name status, The Championships Wimbledon is not only the world’s oldest major tennis championship, it is its most revered. With roots dating back to 1877, The Championships are a staple of the London sports scene and prove to be one of the biggest spectator draws in the UK year after year. The tournament is held at the All England Lawn Tennis and Croquet Club, founded only nine years before the Championships began. The venue’s adherence to the rich tradition of the sport is evident in the refusal to remake the courts with artificial turf or clay. In fact, Wimbledon is the last remaining Grand Slam event to be played on grass. The Championships Wimbledon are also unique for reserving “day of” tickets for the three primary play courts, including Courts 1 & 2 and the Centre Court. Each court holds 200-300 seats over for potential spectators to purchase the day of the event. Obviously, these tickets sell out very quickly and usually require that you queue up overnight to have any chance at all. Nevertheless, the thrill of seeing one of the world’s most lauded sporting events makes it well worth it. Formerly Hyde Park Calling, the newly-titled Hard Rock Calling is a boisterous yet family-friendly music festival hosted in London’s legendary Hyde Park. For its first two years, 2006 and 2007, the festival was named after its venue, but in 2008 it will make the switch over to “Hard Rock Calling” to better associate the event with its founding sponsor, the Hard Rock Café brand of restaurants and casinos. Designated as one of London’s Royal Parks, Hyde Park is as famous for hosting mass demonstrations and protests as it is for rock concerts, and it will just as thrilling to visit the park itself as Hard Rock Calling. It’s not to be missed! If you’re browsing hotels in Kensington for your holidays in the UK and they happen to fall in early August, why pass up a chance to visit the biggest pub in the world? That’s exactly how the annual Great British Beer Festival presents itself and the proof will be right before your eyes. Hosted at Earls Court with a floor space the size of an airplane hanger, the festival is veritable flood of exciting ales, lagers, and ciders all available for your tasting pleasure with an upfront ticket price. The show floor boasts over 450 different beers, a diverse blend including several local favorites along with imported varieties. You’re free to tackle the exhibits at your own pace, or you can attend an official beer tasting seminar to enhance your perspective on the world’s oldest alcoholic beverage. To keep you entertained, as if it wasn’t entertaining enough, the festival hosts traditional pub games through the event and hearty food concessions are also available. Admission runs from £6 for a single day up to £25 for a weeklong pass, so get out there and get tasting. And that’s just the start! London and Kensington in summertime are bursting with exciting holiday options for couples and families alike. Get in on the action! www.hikensingtonforumhotel.co.uk/index.html“>Recommended Kensington hotels in Central London. www.hikensingtonforumhotel.co.uk/london/exhibition.html“>More great London Events venues. Steven Mayo is a content specialist for www.wrsol.com/“>Worldwide Revenue Solutions, an Internet marketing company that specializes in service to the hospitality industry.